Have you bought yourself a new iPAD and are you looking for a case which doubles as a stand? 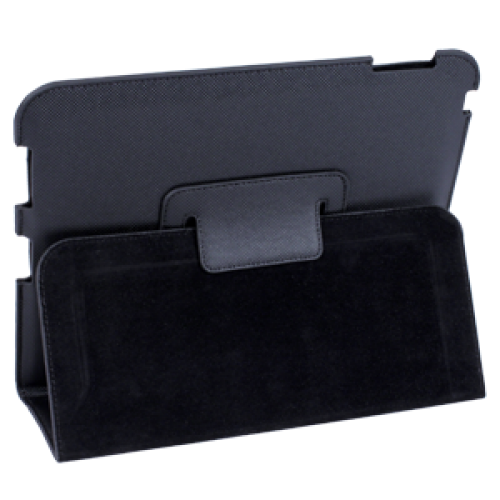 This case completely covers your IPAD with a front and back made from hard wearing materials to absorb everyday knocks. Fold over the front cover and it doubles as a convenient desk / table stand for presentations, photos, email, etc. With the bonus screen protector you have all round protection for your iPAD. Available in Black or Silver.